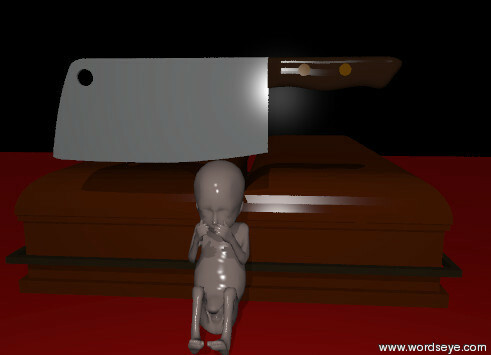 A knife, a baby... oh, so cute! Input text: The baby is on the ground. The baby has a knife. The ground is red blood. There are tiny corpses behind baby. A black brick wall is 2 feet behind the corpses.